* denotes our most popular hotels. We book the following hotels for our guests. Incentive & Group - further discount will be allocated based on size. All inclusive of current 10% Vat and 2% accommodations tax. Rates are subject to availability. HC Koh Ker Lodge, Rustic, traditional, stilted wooden house, located in the shadow of Koh Ker Temple Complex, the tenth century capital of the Khmer Empire and in a small village community. Just a 2.5 hour drive & 150kms away, overnights at this location supports ongoing humanitarian and community projects. Bookings: Can be booked in conjunction with overnight tours to Koh Ker - private rooms with balcony and larger space for groups. Groups welcome. Also home stays in Anlong Veng , Preah Vihear, Banteay Chmmar , Prasta Bakan Khampong Svay & Khampong Thom available. Memoire dÁngkor Located on the the main road to the old market , this central hotel offer value for money Decent sized swimming pool. New Stylish contempory interiors with some perks - free laundry, free local phone calls, daily replenish non alcholic minibar and welcome fruit basket. Walk to old market - 5 minutes. Very popular. Across for Holiday Angkor hotel. Stung Siem Reap Hotel Bang in the middle of town, on a quiet street beside the old market, this mid range hotel offers good facilities with a small swimming pool. Upgraded and new rooms have small balconies. Buffet breakfasts included. *Somadevi Hotel Spacious, traditional decor, central town location with everything on hand, massive pool with swim up bar, excellent cocktails, James bond movies available on screen at pool side lounge, good breakfast buffet. happy hour! one of our favourites, Gym, Pastries, coffee and newspapers available in lobby. Located on the Airport, this new 4* hotel blends contemporary and traditional design, furnished with handmade, Khmer style furniture. Gracious service make this an all round good value hotel with exceptional facilities. 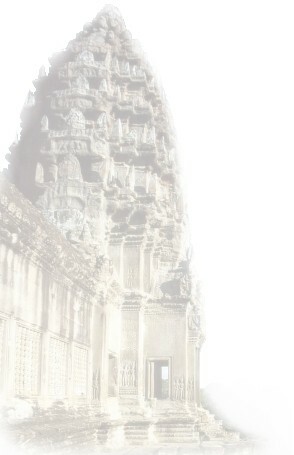 *Tara Angkor Hotel New, modern yet stylish & exceptional value. Located on the road to Angkor, this new player offers an all round high quality product. Good food & beverage, gracious service combined with great facilities. Good gym and pool area. HC Rates: Superior room US$76, Deluxe Room US$86, Executive suite US $110, Family Suite $140 and Tara suite $165 www.taraangkorhotel.com. Victoria Angkor Resort & Spa Colonial hotel, set over looking the royal gardens next to Raffles hotel. Beautiful relaxed spaces , full of character and bygone days with a stunning pool, spa and landscaped gardens. Exceptional staff and services. Sofitel Angkor Phokeethra Golf and Spa Resort. Very near to HC base and a long establish provider of world wide luxury, this hotel delivers on all promises of service and comfort. Rooms well designed as well as spacious planned gardens, massive pool and spa facilities. Long established and experienced local staff. Grande Soluxe Angkor Palace Resort Spread over 11 hectares and located back from the Airport road, this tropical hideaway has it amazing facilities and is a member of leading hotels of the world Its own driving range, tennis courts, massive pool, spa and beautiful interiors are some of the high points as well a great choice of food and beverage outlets within the hotel. exclusive small resort hidden away of the road to Angkor. Beautiful surroundings with Asian antiques and gourmet dining. Beautiful interiors are some of the high points as well as large rooms. Amansara Siem Reap Once the guests house for the Father Kings Provincial Palace, this exclusive location offers beautiful spaces in which to relax and unwind. Suites have their own private garden and relaxing area, glass surround showers and many special features. Compulsory half board for dinner and breakfast. Inclusive of lunch or dinner, house beverages and wine, tuk tuk transfers to Agkor and airport. *Cambodiana Hotel, Phnom Penh. Luxurious, established, 4 star hotel located on banks of the river Mekong. Centrally located , a functional base from which to discover Phnom Penh. Full recreational facilities, with pool, gym, tennis courts & spa. A number of F & B outlets. Imperial Garden Vila and Hotel. Surrounded by the waterways of the Tonle Sap, Tonle Basac and Mekong rivers, this hotel is just minutes away from the bustling riverfront area and all the attractions. Good value with a god location location and superior sports facilities - pool, tennis courts & gym. Sofitel Phnom Penh Phokeethra. Expected to be the last word in luxury and to open in Oct 10, 210 suites and and rooms will look out over the Mekong River. It will offer an array of chic dining options, an upscale spa, swimming pool and possibly the finest conferencing facilities in the city. Anise Hotel - Small boutique hotel ticked away in the trendy district of Phnom Penh with full serviced bar & restaurant and well decorated rooms. Internet freely available, small torches such as free laundry per 5 items, western management. 4 floor, no lift. Eating and Drinking in PP: The Cantina on the riverfront Great Mexican food, margaritas and a breeze. Owned by a US expat, Hurley. .
4 Rivers Eco Lodge - Ideally located between the Thai border and Phnom Penh, it is sits in Tatai near the Cardamom Mountains and is a a beautiful and unique place of stay. Beautiful floating luxury tents face the river on one side and the picturesque mountains on the other . Top-of-the-line luxury in harmony with Mother Nature. HC Rates : Delux $143 per twin or double tent & $118 per single tent including breakfast. Additonal boat transfer to resort required. Battembong - Charming Colonial eastern provincial city . Hotels booked as part of countrywide packages.